In a similar vein to the admonition by the Savior in Matthew, Chapter 7, verses 21-23, not everyone who thinks they are justified for the kingdom of God will be admitted. What was perceived as being fit for the kingdom is judged by Christ to be the work of iniquity. What is it that we must do individually to be accepted of God? I hope these pages help answer that question. “40 And the angel spake unto me, saying: These last records, which thou hast seen among the Gentiles, shall establish the truth of the first, which are of the twelve apostles of the Lamb, and shall make known the plain and precious things which have been taken away from them; and shall make known to all kindreds, tongues, and people, that the Lamb of God is the Son of the Eternal Father, and the Savior of the world; and that all men must come unto him, or they cannot be saved. 41 And they must come according to the words which shall be established by the mouth of the Lamb; and the words of the Lamb shall be made known in the records of thy seed, as well as in the records of the twelve apostles of the Lamb; wherefore they both shall be established in one; for there is one God and one Shepherd over all the earth. In the last verse, we are told that Christ will manifest or present himself to the Jews and then to the Gentiles after which He will manifest Himself to the Gentiles and then to the Jews. Christ manifest to the House of Israel. The first three have happened and can be explained by scripture references to follow. The last is happening now but insight into our situation today can be found by looking to the words of the prophets about this transition as foretold in the scriptures. We will now examine these four events. Let’s follow the sequence. “22 And, behold, a woman of Canaan came out of the same coasts, and cried unto him, saying, Have mercy on me, O Lord, thou Son of David; my daughter is grievously vexed with a devil. “17 And this is what our father meaneth; and he meaneth that it will not come to pass until after they are scattered by the Gentiles; and he meaneth that it shall come by way of the Gentiles, that the Lord may show his power unto the Gentiles, for the very cause that he shall be rejected of the Jews, or of the house of Israel. 18 Wherefore, our father hath not spoken of our seed alone, but also of all the house of Israel, pointing to the covenant which should be fulfilled in the latter days; which covenant the Lord made to our father Abraham, saying: In thy seed shall all the kindreds of the earth be blessed. 19 And it came to pass that I, Nephi, spake much unto them concerning these things; yea, I spake unto them concerning the restoration of the Jews in the latter days. That dispensation fulfills the first segment of the phrase. Christ did initially come to the Jews. His message was received by many, but rejected by many more, the apostasy was the result. “44 And the next sabbath day came almost the whole city together to hear the word of God. Following the pattern identified above, the sequence is now reversed with the Gentiles first and then the Jews. “33 The Twelve are a Traveling Presiding High Council, to officiate in the name of the Lord, under the direction of the Presidency of the Church, agreeable to the institution of heaven; to build up the church, and regulate all the affairs of the same in all nations, first unto the Gentiles and secondly unto the Jews. The Church, the gentiles, are presented with the opportunity to accept and promulgate the gospel just as the Jews were given the first opportunity in the meridian of time. What shall we do with it? As we have seen from the scriptures above, the Lord has established a sequence of events leading up to His return in glory. The gentiles now have been given the opportunity to individually and collectively accept the gospel of Jesus Christ. The scriptures are replete with prophecies explaining how this was to unfold. First, the gentiles would receive the fullness of the gospel, and restore Christ’s Church based on that gospel. Second, the gentiles, or the church would then in time reject the fullness of the gospel, build a church based on the works of men, and find themselves rejected. This is the sword that now hangs over our individual and collective heads. We know that this transition will occur with the message going to the literal seed of Israel. The Book of Mormon repeatedly encourages us, the gentiles, to repent and come unto Christ and be numbered with the house of Israel. We, individually, have a choice to make. Let’s examine the scriptures that predict this outcome. “50 And now his disciples came to him, and Jesus said unto them, Marvel ye at the words of the parable which I spake unto them? Here is a warning to the Gentiles that the same rock upon which the Jews were broken, would grind them to powder. Who are the husbandmen in these last days who were tasked with keeping the vineyard? These will find the same fate as the scribes and Pharisees. 25 But they shall be gathered again; but they shall remain until the times of the Gentiles be fulfilled. 26 And in that day shall be heard of wars and rumors of wars, and the whole earth shall be in commotion, and men’s hearts shall fail them, and they shall say that Christ delayeth his coming until the end of the earth. 27 And the love of men shall wax cold, and iniquity shall abound. 29 But they receive it not; for they perceive not the light, and they turn their hearts from me because of the precepts of men. Here we have another reference to the Gentiles being presented with the fullness of the gospel but not accepting it. The message I have for you is that the times of the Gentiles are now fulfilled, just as the scriptures said they would. Like a flickering ember that fails to ignite, the gospel was not able to take hold. Earlier, there was a scripture citation from 3rd Nephi, Chapter 16, regarding the Gentiles. We read in verse 6 that they were blessed because of their belief in God given them of the Holy Ghost. We read in verse 7 that ‘in the latter day shall the truth come unto the Gentiles, that the fulness of these things shall be made known unto them.’ In verse 8, we find that the ‘unbelieving of the Gentiles’ scatters the house of Israel. The assumption is that if there needed to be a designation of unbelievers among the Gentiles, we have to assume that there were believers also. “10 And thus commandeth the Father that I should say unto you: At that day when the Gentiles shall sin against my gospel, and shall reject the fulness of my gospel, and shall be lifted up in the pride of their hearts above all nations, and above all the people of the whole earth, and shall be filled with all manner of lyings, and of deceits, and of mischiefs, and all manner of hypocrisy, and murders, and priestcrafts, and whoredoms, and of secret abominations; and if they shall do all those things, and shall reject the fulness of my gospel, behold, saith the Father, I will bring the fulness of my gospel from among them. 11 And then will I remember my covenant which I have made unto my people, O house of Israel, and I will bring my gospel unto them. Here we find, again, that the fullness of the gospel is rejected by the Gentiles and extended to the house of Israel. This scripture speaks of the Gentiles collectively and, as shown above, includes the LDS Church. We have the opportunity to repent and return to God. How does one return to a place that they have never been? This implies that we once embraced the gospel but then rejected it. God is asking us to return. Several times President Ezra Taft Benson told us that the condemnation found in section 84, verses 54 through 57, of the Doctrine and Covenants still applied to us because we took lightly the Book of Mormon. Has this condemnation ever been lifted? As discussed, we need to accept the fullness of the gospel which requires us to repent and be baptized both by water and by fire and the Holy Ghost in order receive a remission of our sins. So there it is… We are all called to embrace the fullness of the gospel – to repent and be baptized, to receive a remission of our sins through the baptism of fire and the Holy Ghost, to be sanctified and made holy. By so doing, we can establish Zion, the pure in heart and prepare for the return of our Lord and Savior. Such is the whole message of the gospel. But how can the house of Israel receive the fullness of the gospel if the gentiles have lost it? They cannot therefore pass it on in its complete and perfect form. This is further complicated by the prophesies that this dispensation, of which Joseph Smith is the head, is the last dispensation. This means that the transition from the Gentiles to the house of Israel cannot constitute a new dispensation, but must be a form of continuation of it. 27 Woe unto you, Scribes and Pharisees, hypocrites! for ye are like unto whited sepulchers, which indeed appear beautiful outward, but are within full of dead men’s bones, and of all uncleanness. The rest of the New Testament shows the aftermath of these leaders’ failure to accept this call to repentance: The Gospel went to the Gentiles. Still the Lord was patient with the Jewish people, and many thousands of them accepted the Messiah, but the Church leaders were themselves cut off. After laboring with the house of Israel exclusively for quite some time, the apostles were sent to the Gentiles. This is recorded in Acts, chapters 10 and 11. This did not constitute a new dispensation, but a continuation of the dispensation. This did not however constitute a continuation of the same church organization. Not only was Jesus excommunicated at his trial before the high council, he was also crucified. Peter and John were also excommunicated by the High council. (Acts 4) The Church had apostatized and a new church organization had replaced it without them even knowing it. 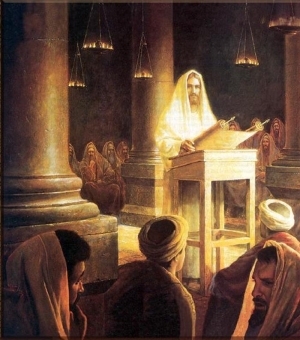 The true priesthood of God was even cast out of the Temple. (Also in Acts 4) This did not mean that the priesthood, the keys, or the ordinances were utterly lost. Instead the priesthood and keys were only “lost” from among the people of the Church. God is not dependant on men to do his work, it is men who are dependent on God. This was a mystery to the Church at the time of Christ. 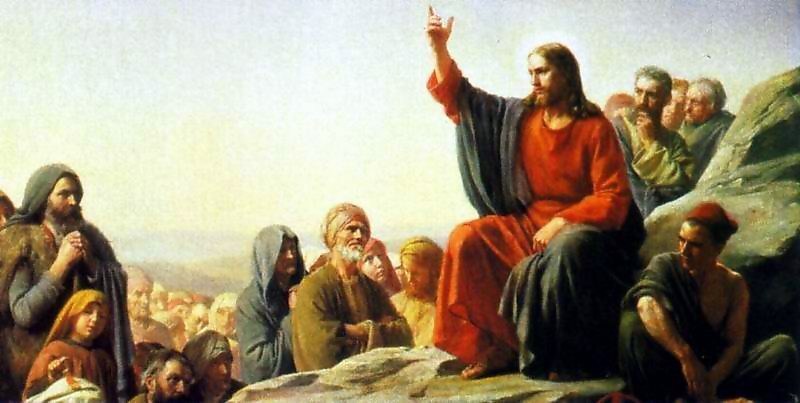 The leaders of the church repeatedly inquired how Christ and his apostles obtained the authority they exercised, and failed to understand how they obtained the priesthood. The events of this former dispensation are mirrored in our own. Almost from the beginning of this dispensation there has been disobedience and apostasy from the commandments of God. Kirtland was lost, Zion was not established in Missouri, and this was because of disobedience. (see D&C 101:2, 114:2) In Nauvoo the saints were told that if they failed to build the Lord’s house there, and thereby become a Zion people, that they would fail to obtain the fullness of the keys of the priesthood, and that they would be rejected as a people. (D&C 124:31-32) Sadly the saints did fail at that time, the prophet was taken from among them, and the saints scattered into many sects. These events all have their parallel in the New Testament. In similitude of the former dispensation the apostles continued to attempt to warn the people. Whether they did so with the fullness of the keys or not is no longer a material question because the times of the Gentiles are now fulfilled and with that fulfillment came a reorganization of the Church, along with an expansion of revelation and the keys of the priesthood. Just as the Gentiles converted by Paul were never under the original Jewish Church. Now the house of Israel is receiving the gospel again and this work is not dependent on the former church either. The current line of priesthood can be traced through apostles all the way back to Through Joseph Smith and Oliver Cowdery, Peter James and John, and Christ. But this is not the only claim to authority they posses. 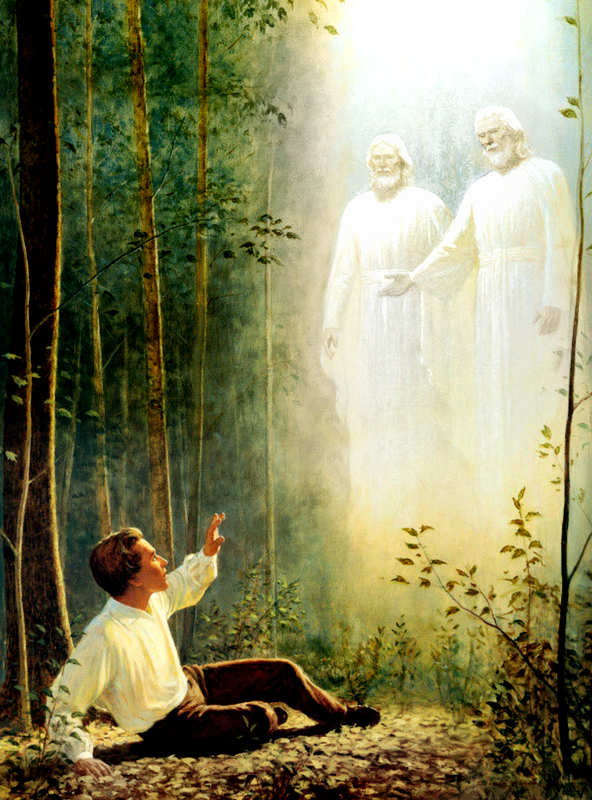 On April 6th 1978, The Root of Jesse, As spoken of in Isaiah 11, 2 Nephi 21, D&C 113 and Isaiah 4:2, 60, Jer. 23, Zech. 3&6, John 15:2, Rom. 11:16, 2 Ne. 3, 10, and Jacob 5, was called and commissioned. The final gathering began and the first presidency and quorum of the Twelve were reorganized along with all the governing bodies of the Church. From beyond the Veil this calling and commission was confirmed by the appearance of all the former prophets and key holders, as well as the personal appearance of Christ and the Father confirming the restoration of the Fullness of the Keys of the Priesthood to Israel. This was a necessary prerequisite to the establishment of Zion, for Zion cannot be built up except on the principles of the Law of the Celestial Kingdom. (D&C 115:5) This must include the fullness of the Keys of the priesthood. (D&C 132:7) Therefore the priesthood has remained and must needs remain through this dispensation or Zion cannot be brought to pass. Thus if God cannot overcome the loss of priesthood by the church in this dispensation the word of God would be void and his promises fail. But God’s promises do not fail. Zion will be built! And it will be built according to all the laws rights and ordinances of the Celestial Kingdom. This is beginning to happen now because the Gospel has been returned to the literal seed of Israel as he promised, and the full ordinances and priesthoods are reunited and restored. I invite all Israel to come and partake. Let the natural branches be restored to the tree, and bring forth fruit for the last time. Then will come the end, and the vineyard will be burned. The question then is: Are you of Israel? How can you know? The scriptures tell us that: Mine elect hear my voice and harden not their hearts. (D&C 29:7) Therefore if you can hear his voice calling Israel to journey to the fullness today, then you are of Israel. I see that you have heard this call and so I exhort you not to harden your heart against it. The fullness of the keys of the priesthood remain on the earth in spite of apostasy within and without the church. In all cases, ordination is required and the successor is set apart as President of the Priesthood by the preceding key holder. John Taylor ordained John Woolley and others to the highest Council of the Priesthood. When Joseph F. Smith passed on, the highest keys of the Priesthood separated from the Church, being given to John Woolley rather than with Heber J. Grant as many have assumed. They continued external to the Church until 1978. We bear witness that in 1978 the Church and the Priesthood were reunited. This means that just prior to The changes to temple ordinances and the defiling of the temples, God moved the power of the temple to a righteous man; who he commanded to build a temple. So there has been a righteous temple completed or under construction almost continuously since the time of the prophet Joseph Smith. A place where we can have the ordinances that are critical for exaltation. The third and forth chapters of Zechariah speak of this new temple. There are temples today where you can still receive all the ordinances of God according to his commandments and his priesthood. Will you not come and partake of these blessings? If this message is true, is it important to me? Tagged apostacy, apostasy, call to repentance, doctrine, Fullness, Gathering Israel, Gospels, holy prophets, Israel, Jesus, jesus christ of latter day saints, Joseph Smith, Keys, Last Days, LDS, mormon, Priesthood, TempleBookmark the permalink.